Can You Really Improve Hearing Health By Being Particular About What's on Your Plate? Can You Really Improve Hearing Health By Being Particular About What’s on Your Plate? Omega-3 fatty acids are a winning choice for just about every system including hearing. Researchers from the University of Sydney published a 2010 study in The American Journal of Clinical Nutrition that states eating two helpings of oily fish — a common source of omega-3 fatty acids — each week might lower your risk of age-related hearing loss by as much as 42 percent. There are plenty of good reasons to want this important fatty acid in your diet, though. It’s been connected to the reduction of blood triglycerides, reducing the risk of dementia and better heart health. Now, we can add hearing to the list too. Fish is the best source of this critical element but not all fish count. 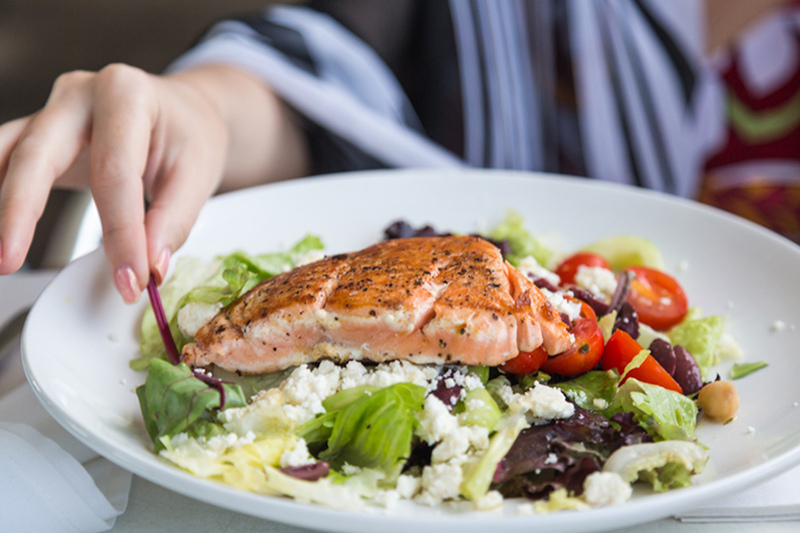 Look for wild salmon, tuna or sardines if you want more omega-3 fatty acid.